What do you do with that thing? When you’re in the widget business, a common problem is that your products are not always self-explanatory. Useful items, shown out of context, can be truly baffling. Take for example the part shown above. Who could be blamed for not having a clue about this thing? 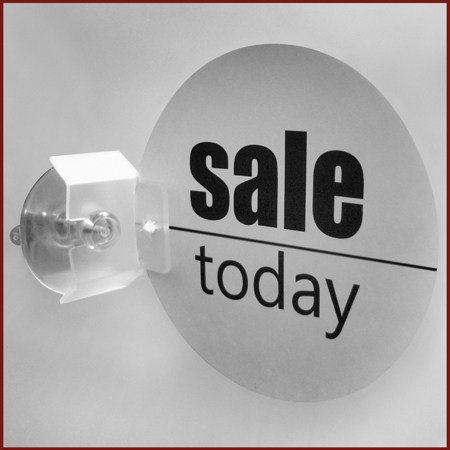 When shown in context, it’s clear that this small sign holder is really handy. 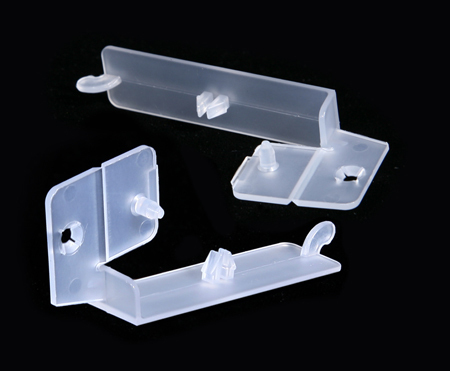 It snaps into the standardized holes of store shelves and supports signs. 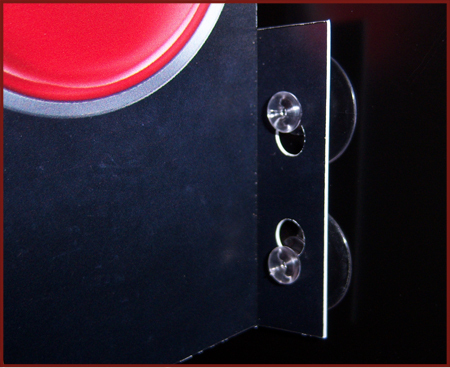 It is easily repositioned, it allows for easy change-out of signs and it can be used over and over. In short, it’s a great product. Other products that we offer just aren’t photogenic. For example, the UPC data rail shown above. Unless this product is shown in use, it seems to be nothing more than a rectangular hunk of plastic. When shown snapping into a standard store shelf, the usefulness of this product starts to become clear. Shown with an insert in place, it's obvious that the rectangular hunk of plastic is incredibly useful, in fact, it is ubiquitous in retail settings. We're always trying to better communicate our product’s features and uses on our website and in our printed materials. Still, if you find that we haven't done our job, please call Popco. You'll reach a Popco representative right away who will tell you everything you need to know about our products, both obvious and mysterious. 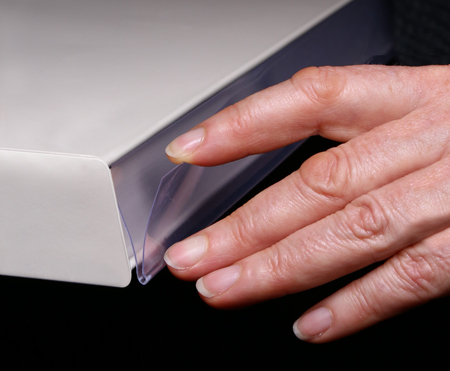 Several years ago, when we first introduced our foam-core edge protector, most of our customer's preferred the product in clear PVC. Since then we've watched that trend change and now demand is greater for black edge protector. For our customers who previously ordered black as a custom run, black is now available as a stock item. For new customers, black is now an option along with the clear which we'll continue to offer. 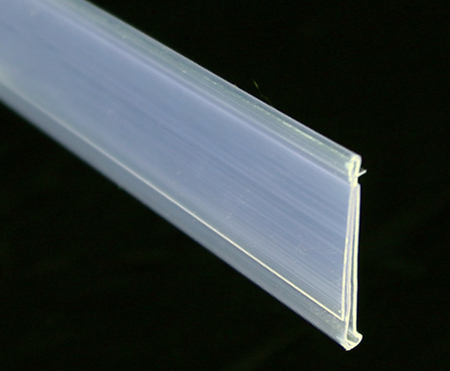 For more information, or to order the edge protector, click here. Building of the success of our suction cups with mirror clips and suction cups with flag clips, Popco is introducing a new combination of suction cups with slide-on flag clips. These parts are sold pre-bagged in batches of 100 suction cups and 100 flag clips. 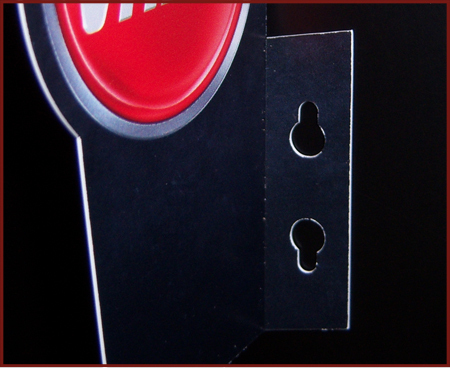 The two parts simply slide together and the “flex-hinged” flag clip closes to hold small signs. 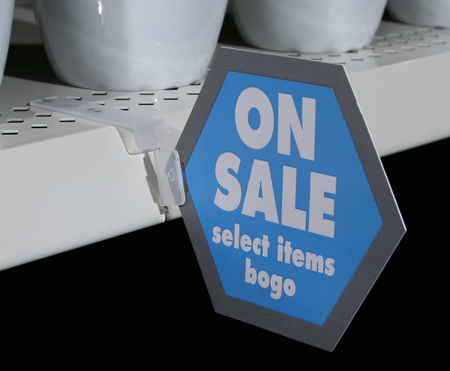 A small tab on the flag clip “pierces” light-weight sign stock, then locks into place against the flag clip’s “back board.” Once affixed in the flag clip, a sign can be stuck to non-porous surfaces using Popco’s 1-3/16” suction cup. Click here for information of this simple, cost-effective combination of parts. In June of last year, the US Supreme Court decided in favor of South Dakota in the case of South Dakota v. Wayfair. 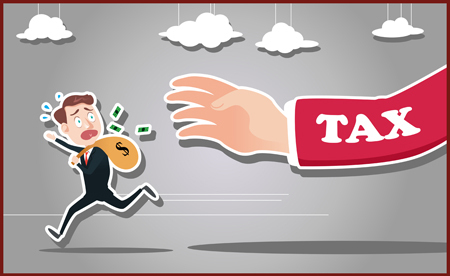 South Dakota’s argument was that the state should be allowed to charge tax on orders even when the seller does not have a physical presence in the state. Prior to this ruling, it could be said that online sellers had an unfair advantage over brick-and-mortar sellers who were subject to taxes. Additionally, states missed out on significant tax revenue as online sales became more commonplace. As a result of this ruling, Popco is now required to add tax to orders that ship to Illinois, Michigan, Minnesota and Wisconsin. 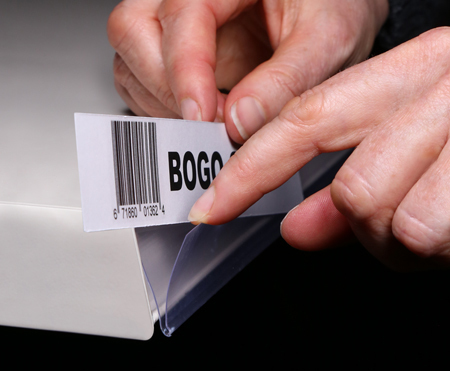 Exceptions to this are businesses that have a sales-tax exemption certificate. If your business has this status, please supply Popco with your sales-tax exemption certificate. With that certificate on file, Popco can waive taxes on your orders. All businesses that have not supplied the certificate, in the states of Illinois, Michigan, Wisconsin and Minnesota, will have tax apply to their Popco orders. 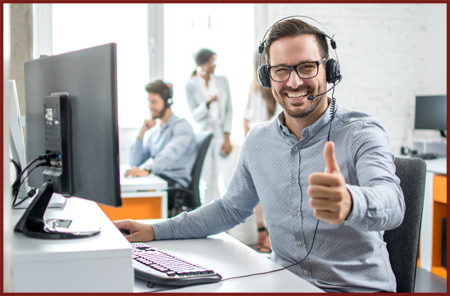 Popco customers, new and old, have often told us that our customer service is exemplary and is a big reason why they choose to work with us. 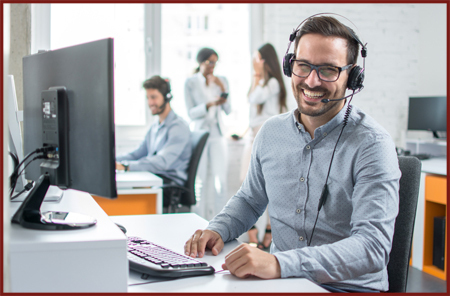 These customers believe, as do we, that good business is more than just offering the right product at the right price; good business is about developing relationships. Don’t take our word for it. Read what our customers have to say in their own words. Thanks to everyone who stopped by our booth at the SGIA Expo in Las Vegas. We had a great time showcasing our products to new visitors and a few old, familiar customers. We’re very pleased that our sample kits were well received. For those of you who stopped by to see us and didn’t pick up sample kits, or for those of you who couldn’t attend the expo, please give us a call. We’ve got plenty of kits ready to mail and lots to tell you about new products we’re on the cusp of introducing. The Specialty Graphics Imaging Association (SGIA) Expo is right around the corner and we're geared up for a great show and a great time in Las Vegas. Among the things that we'll have at the show are our new product sample kits. Printed booklets with product details and pricing accompany the sample pieces and we've chosen some of our new products and some of our big sellers for distribution at the show. 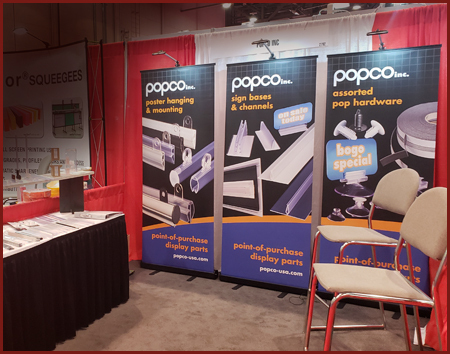 Stop by booth #2792, and find out what's new with Popco. We're eager to show you our offerings and set you up with some sample kits. SGIA is happening between October 18 – 20 in Las Vegas. For details, click here. The Specialty Graphics Imaging Association (SGIA) hosts the largest print-industry trade show in North America. This year’s event in Las Vegas takes place On October 18 – 20. Over 550 exhibitors will be present and tens of thousands of attendees will walk the show. 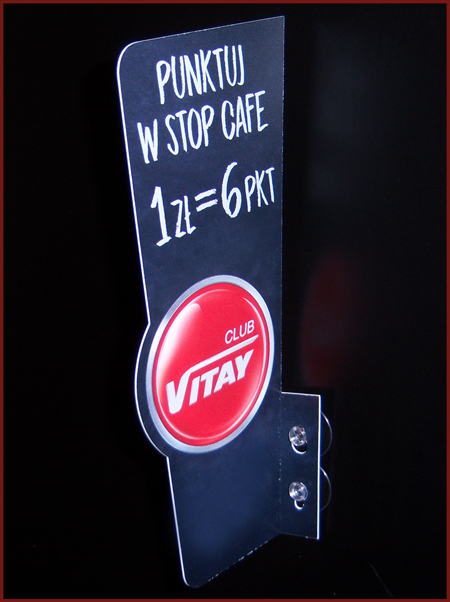 Recently a Popco customer in Poland shared with us their design of an aisle-violator type sign. The sign is a model of simplicity. It’s nothing more than a heat-bent and die-cut piece of styrene. When we saw this we were struck by its elegance and, quite frankly, we wondered why we hadn’t thought of this first. 1) It is the least expensive cup we offer. 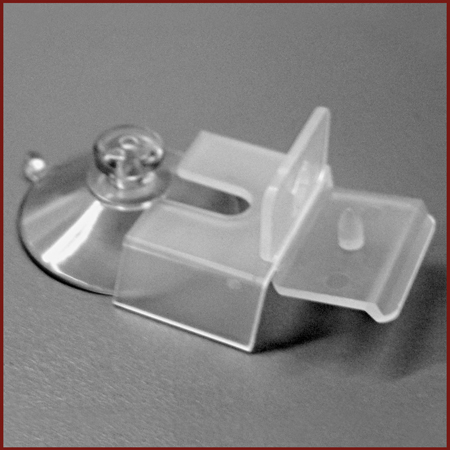 2) The small size and light weight of this suction cup make shipping it cost-effective. 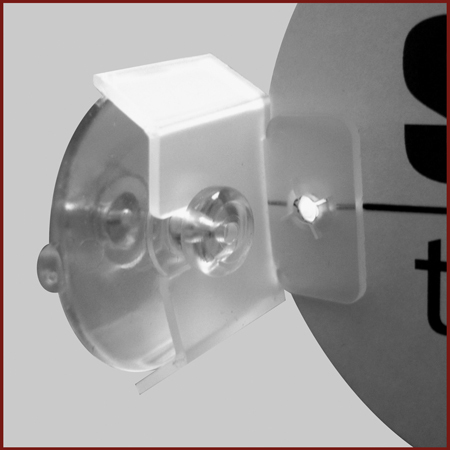 3) Given the light weight of the styrene sign, the small suction cup is more than strong enough. Another benefit to using the SCM-81 is that the small suction cups do not compete visually with the sign. As shown, the heat-bent flange of the sign almost entirely covers the bases of the suction cups. Our Polish customer really knocked it out of the park on this project and we plan to follow their lead and suggest this technique to our other customers. In January we introduced new extra-long posts and screws along with new extra-long Viking-Hat and Flat-Cap Screws. 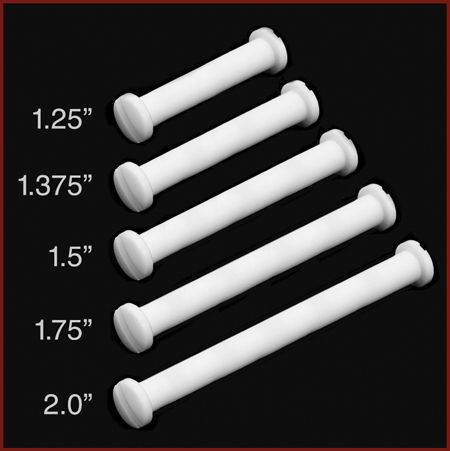 These new posts and screws, ranging from 1.25" to 2" in length are unique. We manufactured them based on customer's order requests that, in the past, required super long lead times. Now that we've prepared tooling for these parts we've dramatically reduced lead time on large orders and we have stock for typical orders. 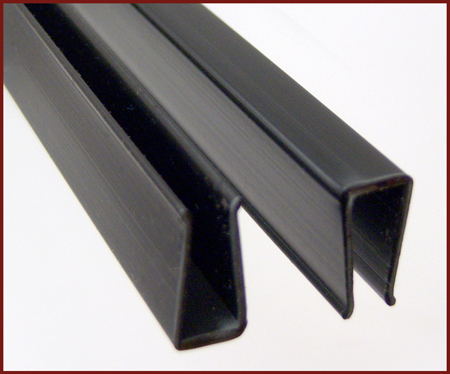 Also, as the manufacturer of these parts, we are now able to offer competitive pricing. To properly launch these new products, we've prepared a nice sample kit full of information and five sets of each new size of posts and screws. We have plans to produce a number of other sample kits as well. 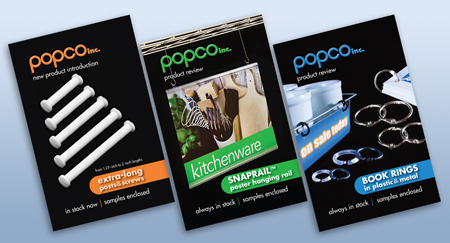 If these binders are right for your projects, please reach out to Popco. 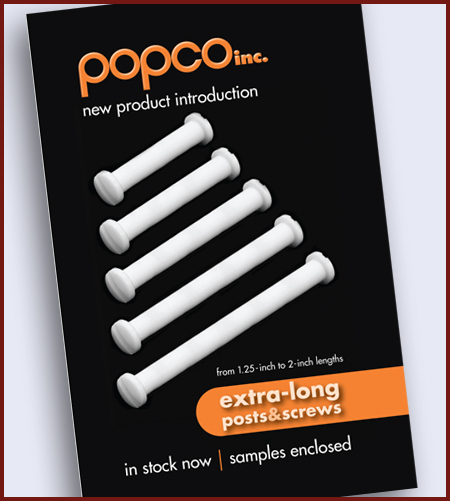 We'll gladly send you samples and get you started with our new extra-long posts and screws. Click here for more details.